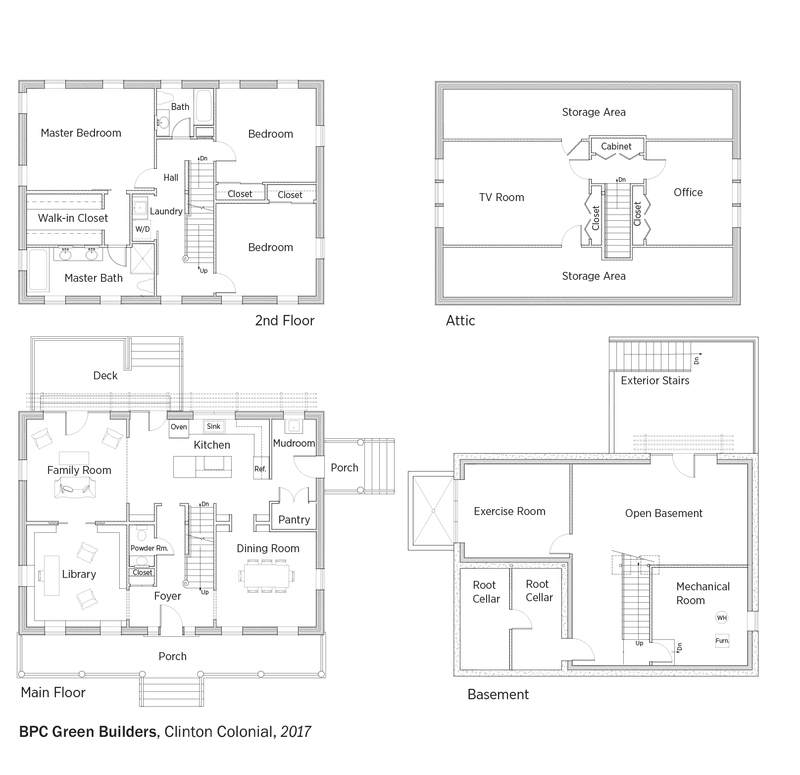 BPC Green Builders built this 4,711-square-foot custom home in Clinton, Connecticut, to the high performance criteria of the U.S. Department of Energy Zero Energy Ready Home (ZERH) program. The double-stud walls are filled with 3 inches of closed-cell spray foam and dense-packed cellulose, then wrapped with a breathable vapor retarder, taped coated sheathing, a drainage mat material, and fiber cement siding to provide a durable and warm blanket of protection against the elements in this upstate New York location. The triple-paned, UPVC-framed, argon-gas filled windows have exceptional insulation properties and low-emissivity glass coatings to block unwanted heat transfer. The ENERGY STAR refrigerator and dishwasher and advanced LED lighting add to energy savings. EPA WaterSense-rated plumbing fixtures and motion-sensor-activated recirculation pumps reduce water waste. Insulated stained-concrete floors provide a water-resistant, easy-care surface and beneficial thermal mass for passive heating of the home. Four inches of rigid foam separate the concrete slab from the ground and the foundation walls. A thick vapor barrier and radon vent pipe keep soil gases out of the home. The 12-inch-thick double walls provide plenty of space for insulation. The home’s 11.4-kW photovoltaic system provides more than enough power to meet the needs of the super-efficient home.